Ask a hotel front desk employee or read an online review to learn quickly that temperature and noise are two of the biggest complaint opportunities for guests, and both can result from a faulty air conditioner. Hospitality industry data proves that when guests are not pleased with the temperature or noise of their room, two-thirds are unlikely to return to the hotel, and one-third are unlikely to recommend a hotel. 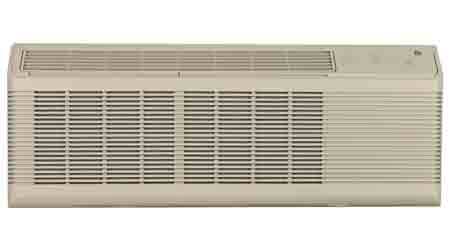 GE’s new Zoneline packaged terminal air conditioners (PTACs) are now engineered to be more reliable and quiet, perfect for hotel/motel customers, as well as provide energy efficiency and easier installation and maintenance, all features that are critical to hotel/motel owners. With this new design, GE has taken the most important aspects of heating and cooling the traveler’s room into account, so both the guests and our customers can rest easy at night. Quiet: GE Zoneline is the quietest PTAC compared to leading competitors, has the best noise insulation and lowest dBA, as verified by an independent, nationally accredited certified acoustics lab. An extra seal surrounding the edge keeps dirt and excess noise outside, along with a heavy-duty mastic seal for extra sound deadening and two fan motors for quiet operation. Efficiency: GE’s Zoneline units are on average 8 percent more energy efficient than the leading competitor’s units. Specially designed sentinels protect property by preventing overheating and freezing, all while enhancing efficiency in extreme elements. Zoneline PTACs come standard with highly featured microprocessors for efficient operation. For a 100-room property, efficient heat pump models can save a hotel owner an average of $36,170 annually on their utility bill. Appearance: New design and appearance improvements keep a fresh, streamlined look: A backlit, coverless control panel with white, dimmable LED lighting makes the functions easier to read. Zoneline also boasts the industry’s slimmest room front, leaving more room for guests. Matching color sleeves blend perfectly with interiors.